Our Wood Low Loft Bed Frame is designed to make the most of the available space in your bedroom. The Low Loft Bed is a great bed frame for its contemporary appearance and style, and it can let you utilize your loft conversion or attic bedrooms by freeing up space and fitting perfectly into restrictive ceiling spaces. 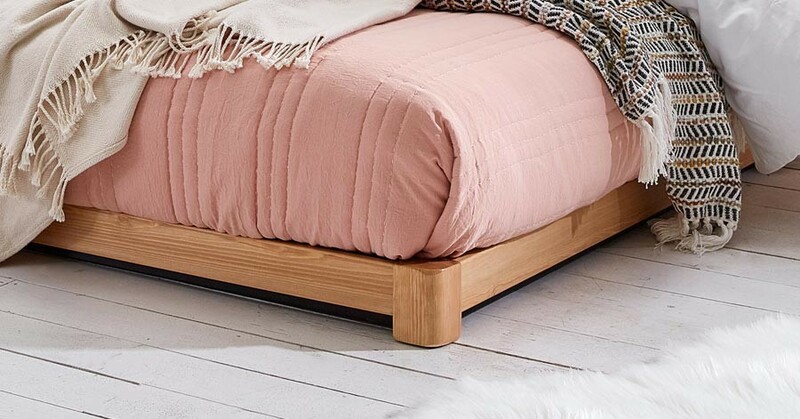 Handmade in Britain and with quality timber, it’s the go-to choice to bring a new style to your bedroom. Why Buy The Low Loft Bed? The Low Loft Bed certainly matches up to its name, being one of the lowest level bed frames we offer. Designed to cope with low ceiling heights, it will fit snugly into small bedrooms and rooms with low ceilings. The Low Loft Bed will make any bedroom feel more spacious. However, this isn’t the only factor which makes a Low Loft Bed so great. The bed is also great for those looking to bring a little tradition and culture to their bedroom. The stunning design of this wood frame will deliver just that, and much more. With all our wood beds being handmade here in Great Britain, we’re able to offer vast customization options for your bed. 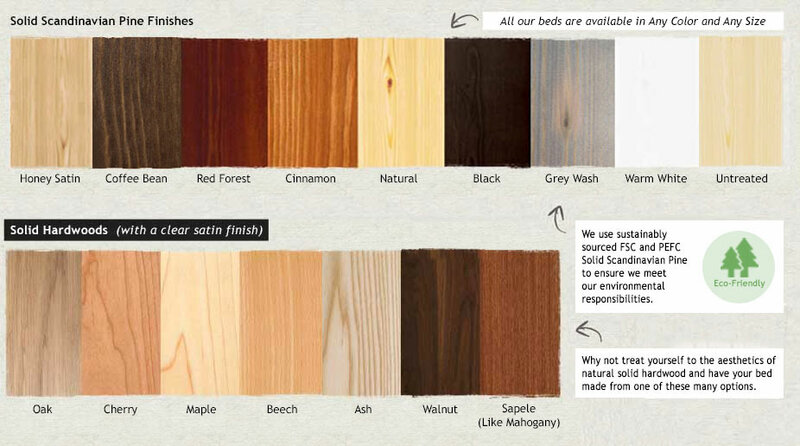 We have various different stain color finishes to choose from, which range from a natural sandy to an elegant white. As standard, your bed will be handmade from Scandinavian pine, though we do offer stunning natural hardwood options such as Walnut too. Should you wish for adjustments to your bed frame, for example making it taller, this is also a service we offer. We strongly believe a frame should be personal to your needs. 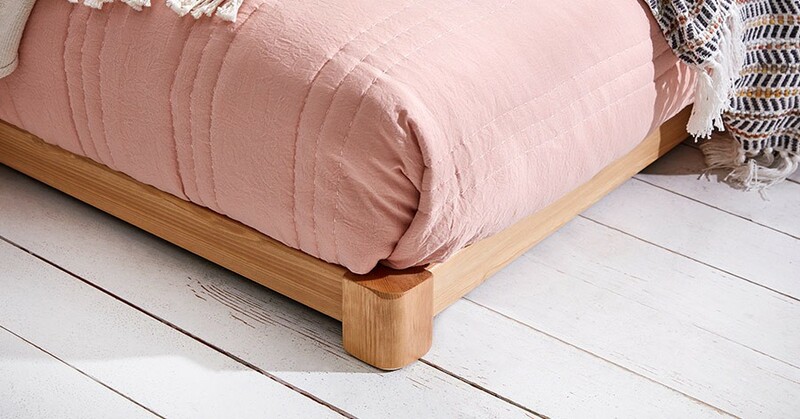 All our beds are constructed using mortise and tenon joints which is a traditional carpentry technique which results in a high amount of strength. Our expert craftsmen take great pride in the job they do, striving to deliver a high-quality bed frame every time. We’re so confident in the quality of all our wood beds, which is why they come with an 11-year guarantee as standard. With many different designs available amongst our range of low bed frames, we have alternatives to our low loft bed which still contain specific elements which has made it so popular. 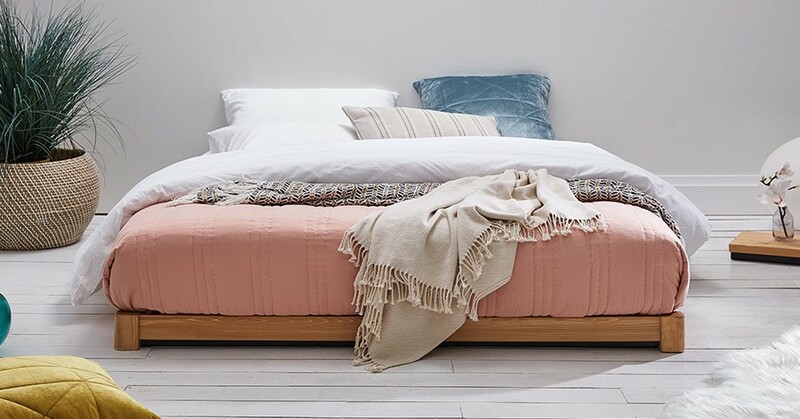 One similar option is our Low Tokyo Bed Frame which still has a minimalist design, but also features a small headboard for those that like to benefit from some additional support. 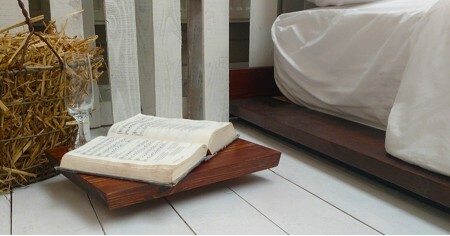 Also very similar is our wood Low Oriental Bed (Space Saving). This still has a very low design, but will also help you save floor space too. For those who like the looks a Low Oriental Space Saving Bed provides but have the additional space in their room, our standard sized Low Oriental Bed Frame is for you.